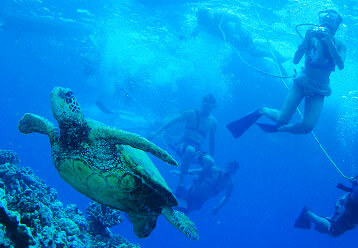 Maui snorkeling will never be the same again once you have visited Turtle Town in Maui. This beautiful snorkel location is found along the southern coast, in the general area between Nahuna Point and Black Sand Beach. Turtle Town is a unique series of underwater lava formations developed long ago by the eruptions of submarine volcanoes. 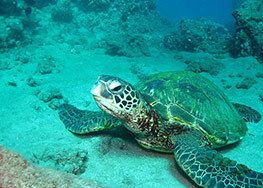 Today, the coral reef at Turtle Town is abundant with the protected Hawaiian green sea turtle. This network of coral reefs at Turtle Town is also home to a wide variety of colorful tropical fish and other unique marine animals. 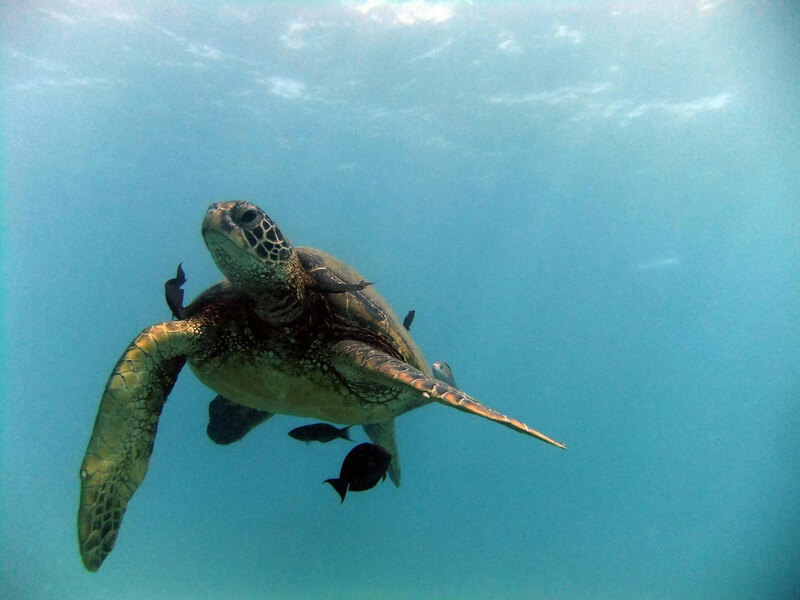 You will not soon forget the gentle and graceful sea turtles at Turtle Town. 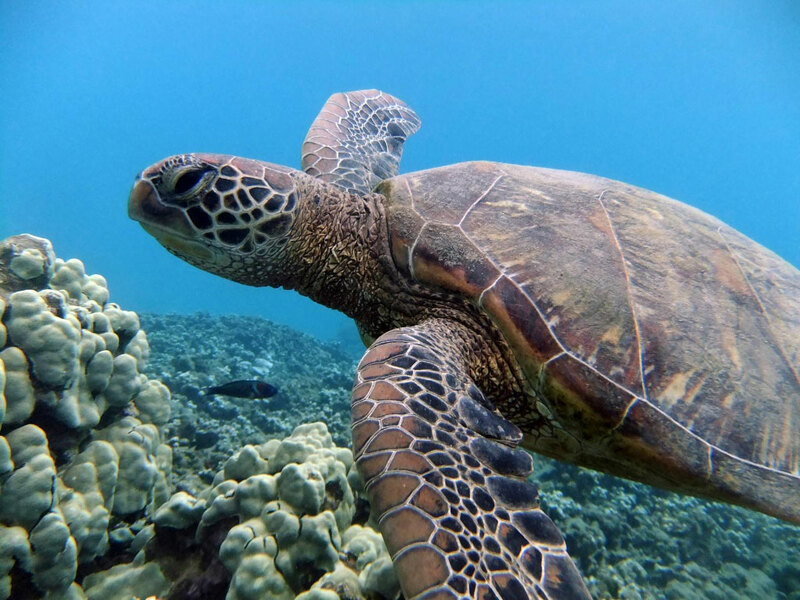 Curious by nature, these wonderful marine animals will gently approach a slowly moving Maui snorkeler, providing outstanding underwater photo opportunities. 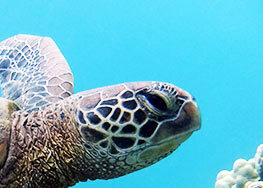 The sea turtles are a protected species. 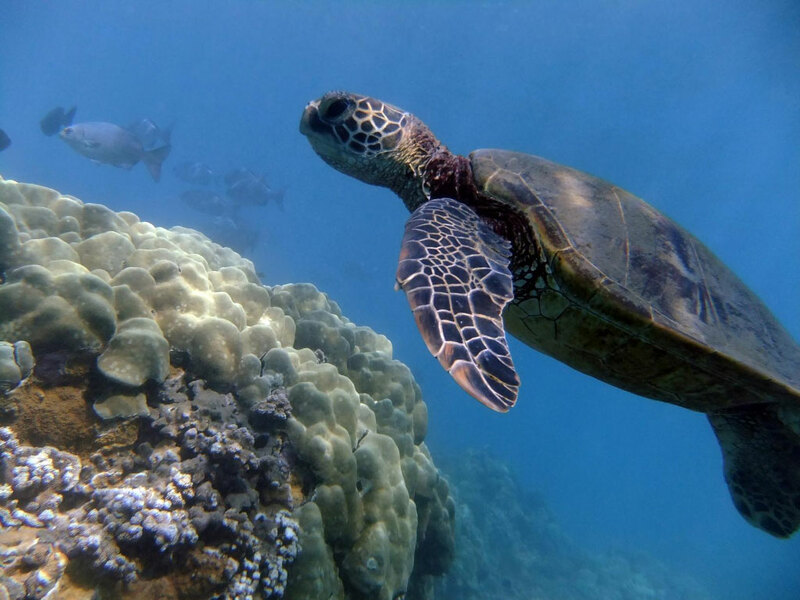 This is why Maui snorkel and SCUBA divers are reminded to respect their space. The law prohibits touching, chasing or riding the turtles. 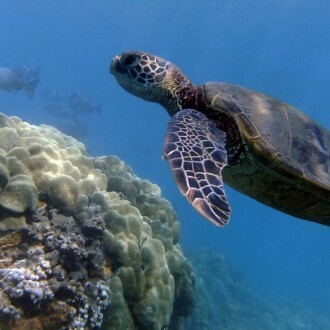 Calmly observing and allowing the turtles to swim close, makes your Maui snorkeling adventure at Turtle Town truly unforgettable. 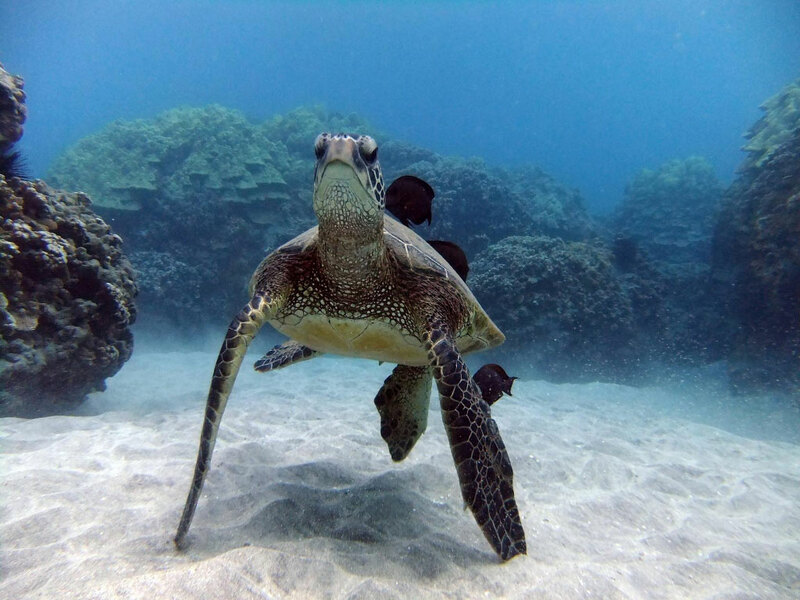 Luckily, at Turtle Town, the close encounters with these beautiful animals are usually initiated by the turtles, as they gently approach within 10 or so feet to get a closer look at you. It is also you’re best chance to take a close look at the world’s largest hard-shelled turtle. 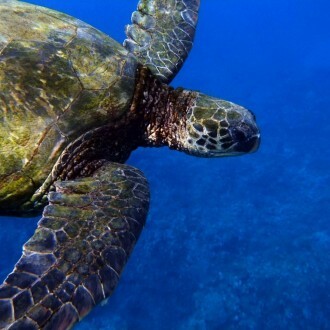 A close look will reveal that the Hawaiian green sea turtle is not green at all. The majority of these turtles have dark-brown hard shells or carapaces. The younger ones, called hatchlings, will have black hard shells. Then, as they grow, orange and yellowish tints appear. Sometimes, they develop olive, gold, and reddish brown shades, or swirls and other irregular patterns. 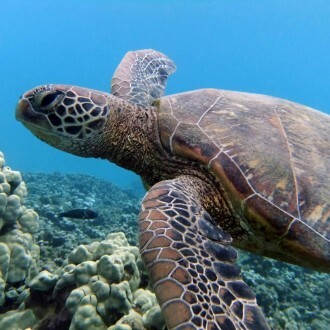 While snorkeling at Maui Turtle Town you may see a wide variety of patterns and shades of the carapaces of these turtles. 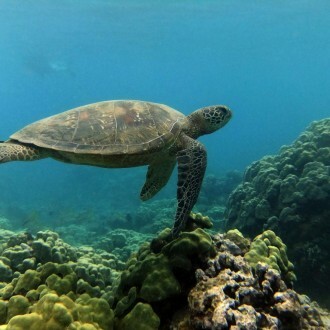 The Hawaiian green sea turtles (scientific name: Chelonia mydas) are actually named after the color of their body fat. The body fat is actually green. Numerous studies by marine biologists indicate that the green color is due to the algae that the animals eat. 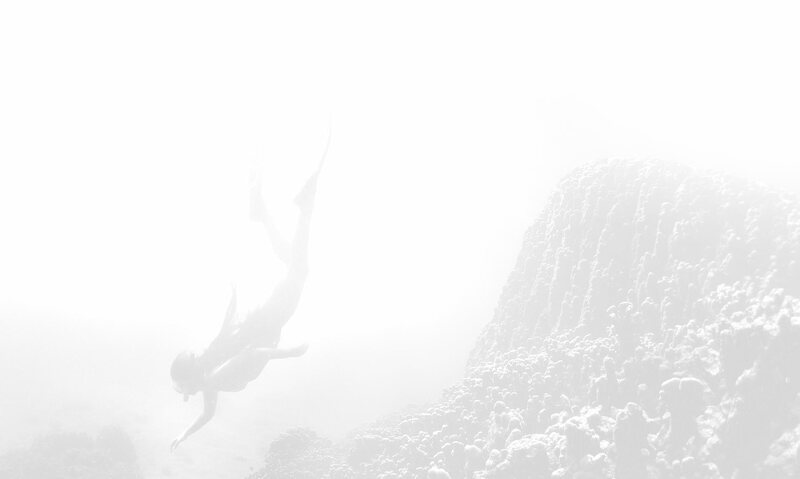 The algae, which is called limu (Hawaiian), is abundant in and around Maui’s coral reefs at Turtle Town. 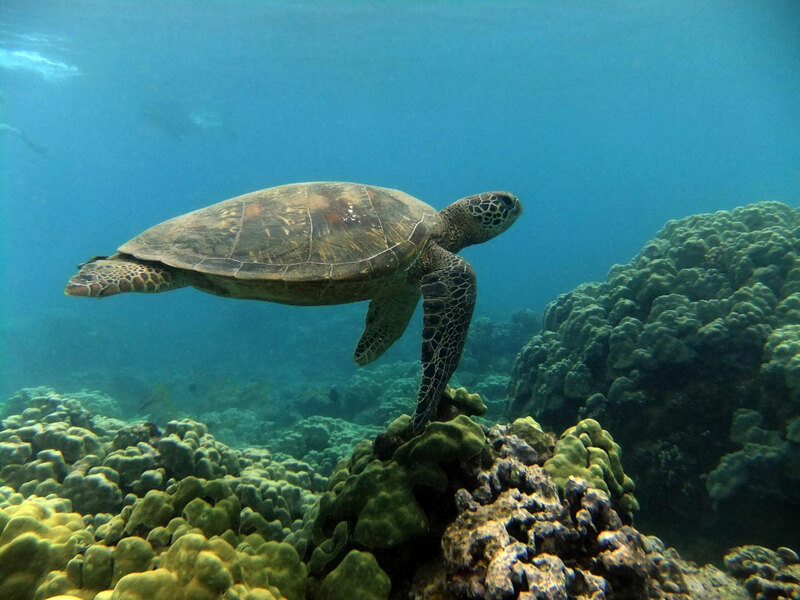 One sea turtle expert has identified at least nine different species of algae that were the favorites of the Hawaiian green sea turtles. There is also a special sea grass that these turtles like to eat. The abundance of food is not the only reason why the sea turtles have called Turtle Town their home. 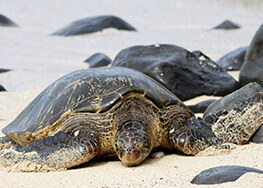 The other reason is the unique habit of turtles to return to the beaches where they were born. There is no scientific evidence for this observation, but the sea turtles, according to marine biologists, have shown a strong site-fidelity. This means that if they found lots of food in a certain area, they will go back to that area again and again, particularly if the food source is established in their area of origin or birth. The turtles at Turtle Town are in many cases local residents of Turtle Town which tend to remain close to the sanctuary at Turtle Town. This is another reason why sightings of turtles are so abundant and why Turtle Town has become world renowned. 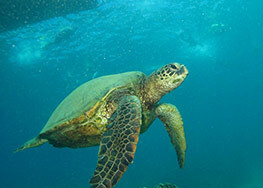 Maui Turtle Town has been established as an area where food is abundant. 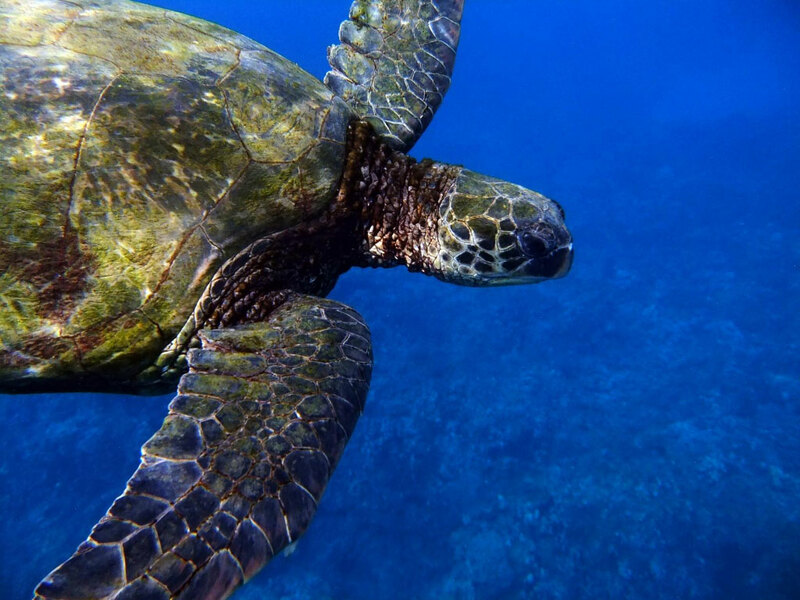 This is the primary reason scientists believe the green sea turtles, called honu in Hawaiian, have made Maui Turtle Town their home. The Hawaiian green sea turtles were declared an endangered species in 1978 by the International Union for the Conservation of Nature. 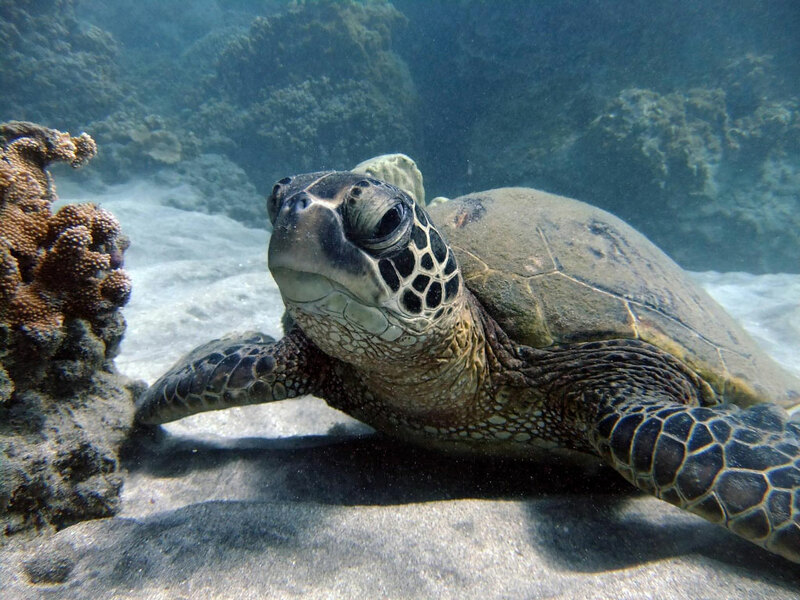 Before the Endangered Species Act was implemented to protect these creatures, the sea turtles were hunted and captured for their skins, meat and shells. The intriguing part is these turtles don’t immediately swim away from humans. They appear to trust the presence of people. This is why, many decades ago, they ended up in soup pots and other dishes. 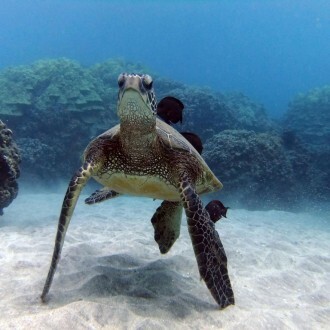 And this is also why there is an existing Hawaiian legend about these turtles. 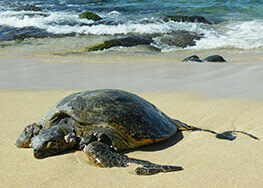 The Hawaiian green sea turtles will at times, swim to the shore, crawl towards the beach, and bask under the sun. Scientists explain this sunbathing behavior as the turtles’ way to regulate their body temperature. Although they can stay underwater for more than two hours, the turtle’s tendency is to go to the surface to breathe air every few minutes. 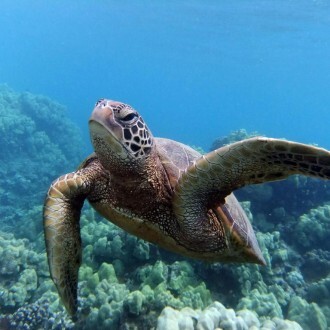 This might be the reason why some ancient legends claimed that the sea turtles led the first people to discover the Hawaiian Islands. 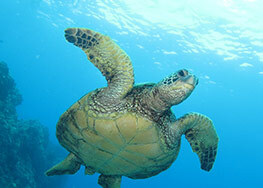 Their lifespan is generally unknown, but for green turtles it is thought to be around 60-70 years. Adults typically weigh up to 500 lbs. with a carapace (shell) length of 40 inches. Green turtles are not actually green. They got their name from the color of their fat tissue as their diet mostly consists of algae. Their average swimming speed is approximately 1 mph during migration. When dodging a predator, they can reach speeds around 20 mph. 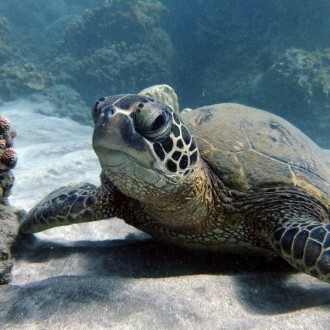 In ancient times, sea turtles were considered aumakua, a family guardian or spirit, not to be consumed or hurt. A belief that continues today. 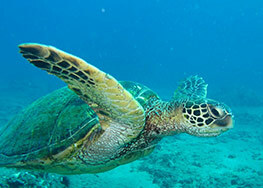 Green turtles become sexually mature at 25-35 years and some may be as old as 40 before being able to reproduce. The length of reproduction has been estimated to range from 17 to 23 years. 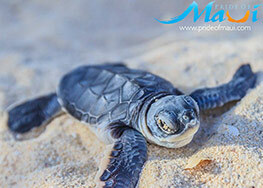 They return to nesting beaches to lay eggs every two to three years and will deposit three to six clutches per nesting season with an average of twelve days in between. 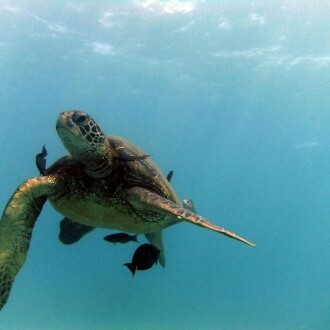 sea turtles and giving them the space and comfort they need in order to carry on with their daily routine. 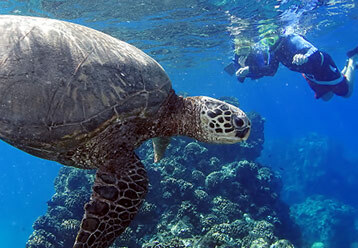 No Hawaiian vacation is complete without a Maui turtle watch snorkel tour. 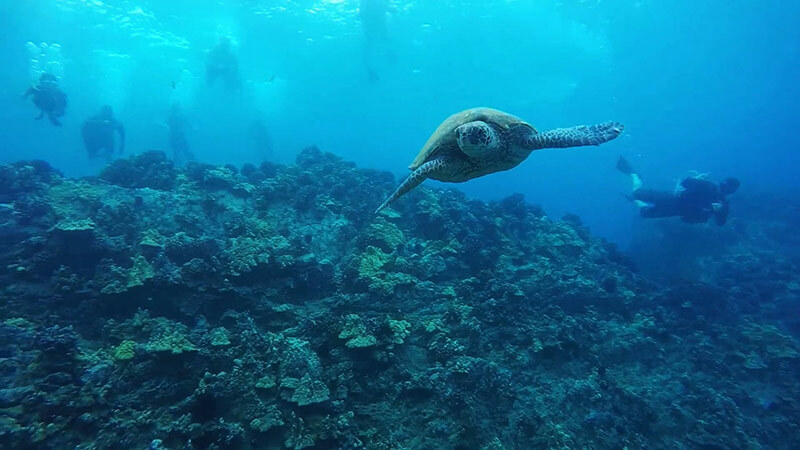 Imagine a snorkel at Turtle Town, observing these beautiful animals in their natural environment where they can reach up to 400 pounds. 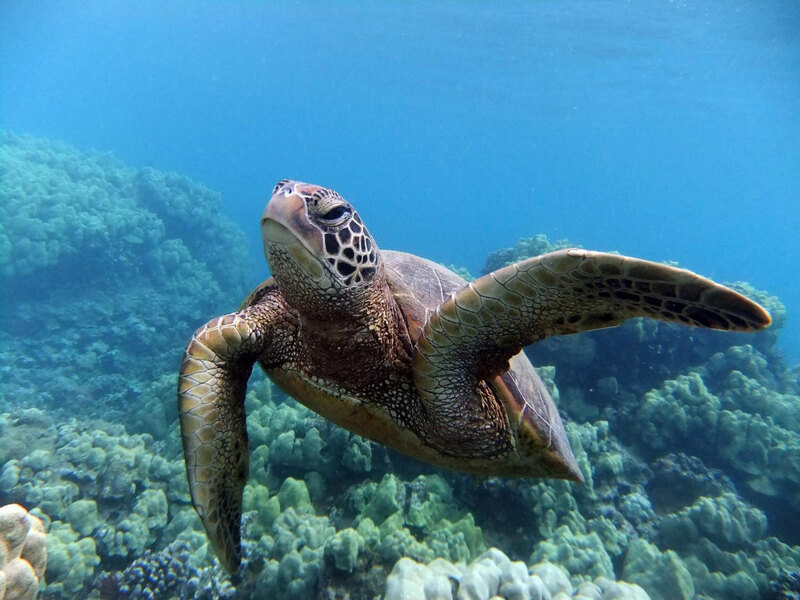 Maui snorkeling and visiting the Hawaiian green sea turtles at Maui Turtle Town is a memory that you will cherish forever. The story of Kauila, an enchanted sea turtle who transforms into a girl to guard the children who are playing on the beach. And when the children became thirsty, Kauila will lead them to an area where fresh water flows freely.